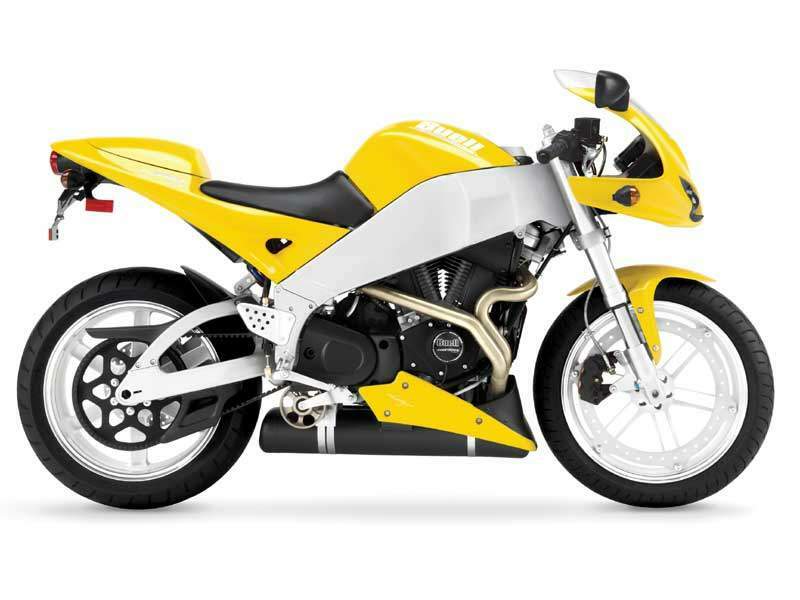 Length: 1935 mm / 76.2"
Width: 715 mm / 28.2"
Ground Clearance 110 mm / 4.35"
The Buell Firebolt XB9R, the American motorcycle that redefined the middle-weight Sportfighter category, receives a number of refinements for 2004 that hone its razor-keen edge. The innovative Firebolt XB9R is designed to deliver a new level of performance in the real world-the twisty backroads and sweeping mountain byways that challenge serious, sophisticated sportriders every day. To meet that mission, the XB9R offers a chassis that responds instantly to rider input and the XB984 V-Twin engine that delivers a smooth, torquey powerband you can really use on the road. The Firebolt XB9R was developed around the key concepts of frame rigidity, mass centralization and minimal unsprung weight-the three legs of the Buell Trilogy of Tech design philosophy. The literal backbone of this design is a very rigid aluminum frame that also serves as the bike's fuel tank. Carrying fuel within the frame offers a significant reduction in overall center of gravity over a traditional fuel tank mounted on top of the frame. The muffler is located below the engine to further lower the center of gravity (CG) and centralize component mass. The patented Buell Uniplanar engine mounting system reduces vibration to the rider and incorporates the engine as a stressed member of the chassis, further enhancing overall stiffness. The massive aluminum swingarm also serves as the reservoir for engine oil, another innovative idea that helps lower the CG. Minimizing unsprung weight helps keep the wheels in contact with choppy pavement and reduces steering effort. With this goal in mind, Buell developed the Zero Torsional Load front braking system, which mounts a single 375mm brake rotor close to the wheel rim. Squeezed by a six-piston caliper, the ZTL brake transmits braking forces almost directly to the rim and virtually eliminates torsional load to the front wheel. This permits the use of a very light-weight, six-spoke cast aluminum wheel. The front fork is a fully-adjustable 41mm inverted Showa unit. Handling that's so quick and precise it almost seems intuitive. The Firebolt XB9R inspires the kind of confidence that carries a good rider deeper and faster into the turns. It starts with a chassis geometry that looks extreme on paper but really works in the real world-an ultra-short 52-inch wheelbase and a 21-degree fork with 83mm of trail. The rigid frame and swingarm, the chassis geometry, and the low center of gravity combine to give the Firebolt the ability to deliver dominating performance in the corners. Twist the throttle, and the Firebolt XB984 engine revs high and hard. This 984cc, 45-degree V-Twin has Dynamic Digital Fuel Injection (DDFI) for crisp throttle response and is air/fan and oil-cooled to keep weight and complexity to a minimum. A short stroke, lightweight valvetrain and high-flow heads help this engine snap right to its 7500 rpm redline, but its broad torque band means there's always power on tap when you need it. The engine is rated at 92 peak horsepower and 70 ft. lbs. of torque and delivers the highest torque-to-weight ratio in its class. A five-speed gearbox feeds a smooth, clean belt drive. 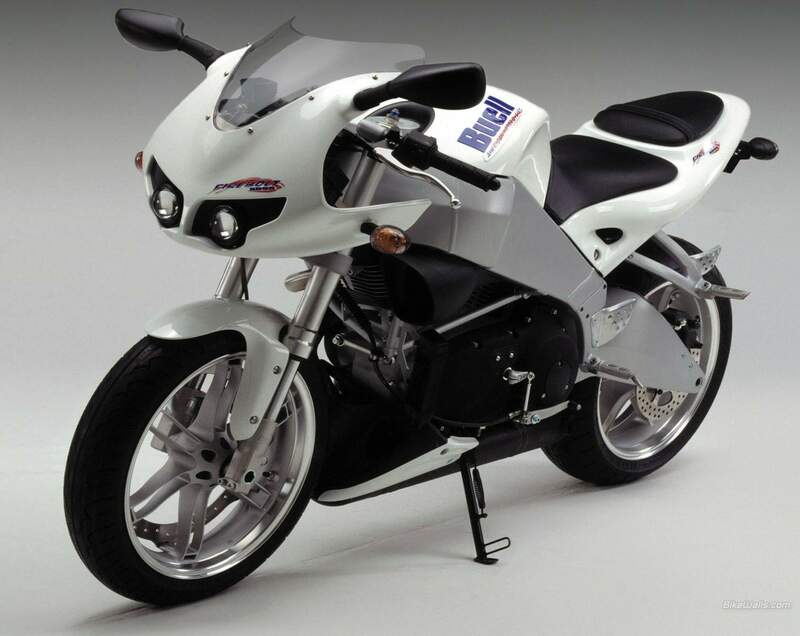 All 2004 Buell motorcycles will be covered by a two-year, unlimited mileage warranty replacing the previous one-year warranty. The 2004 Firebolt XB9R is offered in with durable Surlyn bodywork in Battle Blue with white graphics and new white wheels with a smooth, machined edge.